Today on the Doc On The Run podcast we’re talking about sub-fibular impingement syndrome. That may sound confusing to you but I am going to explain it. I’m going to talk about what this condition is and what you can do about it. The first thing you have to understand is when you look at the foot, the fibula bone is the outside ankle bone over here so it’s referring to the fibula. An impingement just means impinged, you get stuck and squished somehow. Sub-fibular impingement syndrome means that this fibula at the bottom of it, “sub” for under the feeling, that it’s impinging, that it’s hitting something under here. You really have a couple things under there. 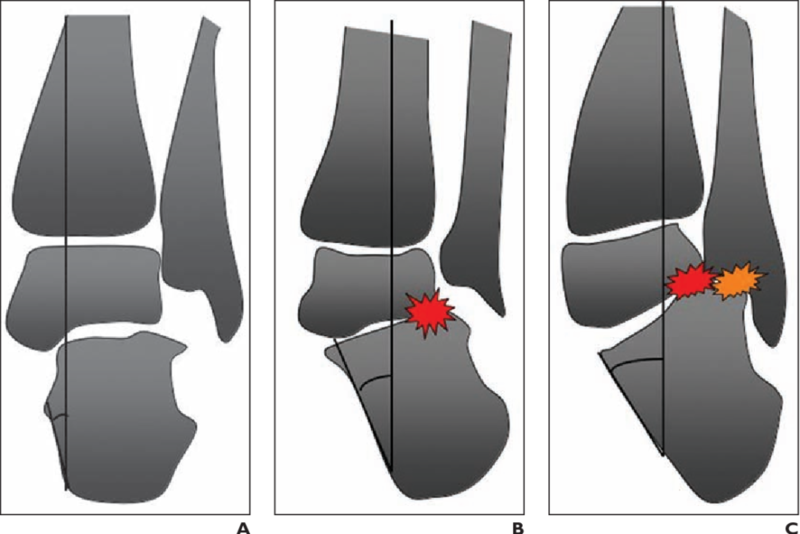 One is the talus bone and the other is the heel bone and basically what happens in sub-fibular impingement syndrome is that your foot pronates hard and when it pronates and your arch collapses, the fibula bone actually smacks into the side of the heel bone right here. So when your heel bone tilts over the consequence of your arch flattening out and the heel bone has to tilt over the fibula and the heel bone actually smack together and causes this impingement. What does that mean? What made you squish the tissue together that it starts to hurt? The big problem isn’t that it’s hitting, it’s just that is causing pain and inflammation some variety and then really severe cases it can actually wear a hole through the bone where the fibula bone is actually smacking into the heel. Why runners get sub-fibular impingement syndrome? The thing is that any time you get a running injury, I always think about this in terms of like what is the best case scenario. What is the worst case scenario? What is the best and worst-case scenario with sub-fibular impingement syndrome? The best case scenario of course is you can do something really simple. Get it to calm down and then continue running without any problems whatsoever. Worst case scenario is that you continue to treat it, you continue to try to run and it causes pain or some bigger problem long-term that prevents you from running forever. That’s the big problem. The first thing is you want to make sure you don’t have a problem that’s going to get so much worse that you can’t run in the future. And then if you know what to do and you know what the options are, you know what is the worst case, what’s the best case scenario, you can kind of try to figure out whether or not you can be able to run as you heal this thing. Why doctors mis-diagnose sub-fibular impingement syndrome? The first reason the doctors misdiagnose sub-fibular impingement syndrome is that you pain over here on the outside of the ankle and they look at you and maybe you have flat feet or something and they just say you’re probably impinging, probably impinged when you pronate and that’s what’s causing the problem and you shouldn’t run. But you could get a couple of other problems. You could actually have inflammation on this little pocket in the front of the fibula called the sinus. That’s way more common than sub-fibular impingement syndrome in runners. That often happens as a consequence of an ankle sprain and if you get a sprained ankle and you have pain in your foot and it’s kind of near in your fibula and the doctor tells you that you sub-fibular impingement syndrome. You my might want to double check and see if you have sinus tarsi syndrome. There is another whole episode on that explains that in detail. You could also get arthritis in this joint underneath the ankle joint. So the talus bone sits on top of the heel bone under the ankle and that joint under the talus is called the sub-talar joint. “Sub” for under and “talar” for referring to the talus and joint because it is a joint. Sub-talar joint arthritis happens in people who have sprained their sub-talar joint and they wear it out. But they didn’t realize, they actually thought they sprained their ankle join but they sprained they sub-talar joint. And if you get damage in that joint it can hurt in a similar way with sub-fibular impingement syndrome does hurt. You can also get pain in the peroneal tendons because the peroneal tendons run around the back of the fibula right under the corner of the fibula and sometimes when doctors are pushing and squishing on the tendons and they think that you actually have the sub-fibular impingement syndrome. But really you don’t. You just have peroneal tendonitis and there’s lots of episodes on that we’ve done as well. We have explained that in great detail. So that’s the reason it gets misdiagnosed. Okay so the first thing is probably you’re thinking like how can I tell if I have sub-fibular impingement syndrome. Well there’s several ways. One of them is based on your story. So if you tell me that you have really flat feet and you run on a sloppy road at the side of the road. Well that does a couple things. For one, if the road slopes this way put your foot on it your fibula is going to stay straight up and down to keep you from falling over. But then your foot is going have pronate super hard on your uphill foot. So if you’re running with your back to traffic for example, your left foot is going to pronate hard on that side of the street. If you’re running facing traffic, the opposite happens. You’re facing traffic, your left foot supinates but then your right foot has to pronate. So if you tell me you have really flat feet, you’re always facing traffic when you’re running the road, you do most your runs in the road and you start having this pain under your fibula and it hurts when you push on the end of the fibula and it hurts when you push on heel bone, that is possible you might have sub-fibular impingement syndrome. Then the deal is you just have to rule out all these other problems. I have actually done separate lessons where we talk about that in detail. It will show you how to rule out other things like peroneal tendonitis or sinus tarsi syndrome or anterior talar fibular ligament sprain. Details don’t matter here, the point is that you only have a few things in that area and if your story fits with sub-fibular impingement syndrome where you started do a one workout or maybe run on a trail, you went on a long run it was really sloppy where you’re going around some trail that it’s been eroded and slopes downward and your uphill foot was getting pronated and your heel bone was banging into the fibula over and over with every single step and you tell me that it hurts when you only push on these spots where you get pain when you have sub-fibular impingement syndrome then that would certainly be the diagnosis. First step for a runner with sub-fibular impingement syndrome? So when you go to a doctor’s office they’re going to generally take X-rays. When you get an X-ray if you have sub-fibular impingement syndrome that’s been going on a very very long time then it will show some erosions on the bone or a little cyst or a hard white spot or even a hollow spot in the bone where the bone’s been banging together over and over and over. That only happens after many years of that happening. What more often you see is that if a doctor takes away an X-ray and you’re not standing your foot, it’s floppy. So it doesn’t actually show those bones touching and it doesn’t really point to sub-fibular impingement syndrome. So it may not show anything at all. 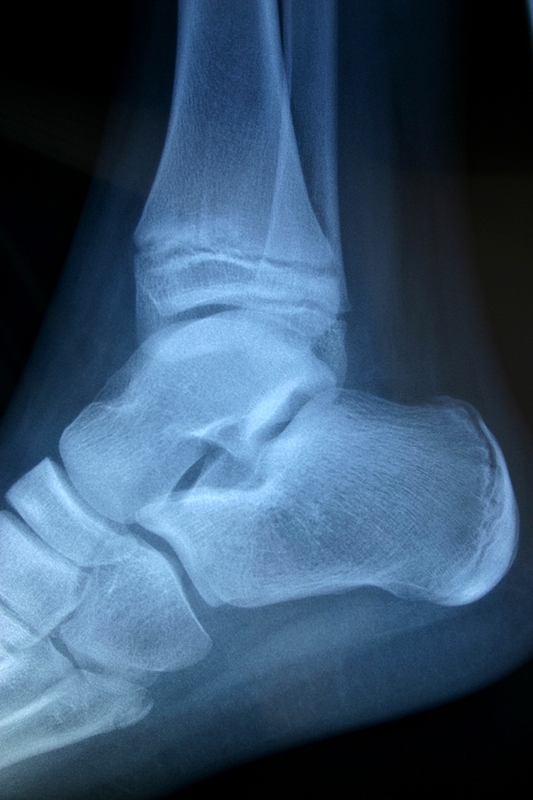 If your foot is in a normal position and you’re really not prone to this problem but you could get it running on the wrong slope and you take an X-ray, well the bone is still in relatively normal alignment and you’re not forcibly pronating the foot and impinging and when they take a normal X-ray with you stand in the normal position, nothing shows up. What will a doctor typically do for sub-fibular impingement syndrome? But then there’s a way they can do it. They can basically have you stand on the edge of a book and then your big to joint kind of falls off and when that happens it forcibly pronates you and then you can see this impingement where the bone actually the fibula over here and when that happens then the doctor could make the diagnosis of sub-fibular impingement syndrome just based on your X-ray. In most cases with most runners they’ll have to have a special sort of X-ray where you do this thing that we call the Coleman block test to try to assess and figure out like how stable your foot is and we have you step on a book and then take an X-ray to see how much you hang off there, pronate and then see if you’re actually impinged. We do that, that’s one way to do it. Another way to do it is with C.T. scan or an MRI. So we get a CT scan of your foot which is of like kind of like an MRI which uses X-rays instead of a magnet to take the pictures and or an MRI either one you get some irritation, inflammation within the bone showing up as well as a cyst or a hard spot or a hollow spot where the bone’s been touching together. We actually call those specific lesions where you have an erosion in the bone here or kind of like a place where it’s been eaten away from all that banging back and forth over and over. And a little spot on the end of the fibula, it’s actually two little circles. It usually forms where you have two circles kind of bumping up against each other and because you see these two little hard white hollow circles bumping up against each other, we call them kissing lesions. So when you have that then you have a diagnosis of sub-fibular impingement syndrome. The way that you fix this is basically stop doing the thing that aggravates it and you do something to decrease the inflammation. So you just have to make sure that you get rid of all the inflammation and you stop doing the same thing. If you want to get back to running. That’s really all you have to do with this. It’s not that complicated. In terms of how to do that you can do ice, you can do contrast baths, you can do elevation, you can wear compression socks. You have to get the inflammation out of there and then if you’re running on right side of the road all the time when you got this then you should try running on the left side road and see if it alleviates. If you can alleviate the pain just by changing where you run or putting some over-the-counter inserts in your shoes or something to decrease some of the stress and strain on the outside of your fibula and it doesn’t hurt at all when you run then you might be able to just continue running while you heal your sub-fibular impingement syndrome.